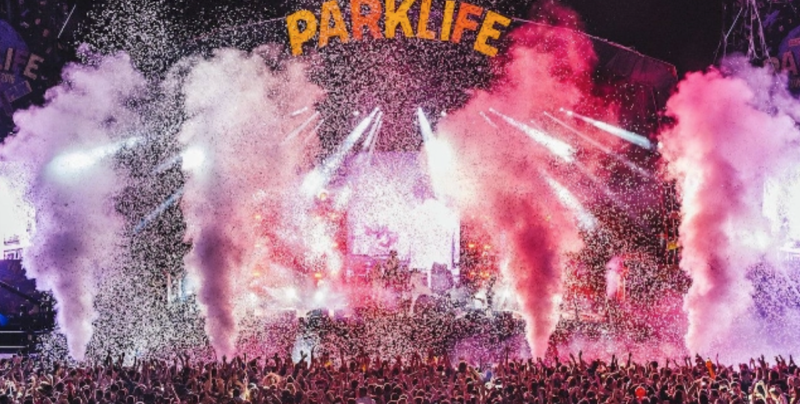 This week my Friday Favourite goes to the one and only Parklife Festival at Heaton Park, after attending it last Saturday. I have to admit, I wasn’t always open to the idea of it, because I’ve done festivals before and didn’t leave the shower for a week after I got back! But, with it only being one day, my friends who were desperate to go, managed to convince me and it was one of the best days I’ve had! Despite the thick mud and pouring rain, everyone was dancing to the artists and making the most of it. And, can we just take a minute to appreciate the effort that went into the girl’s outfits! I have never seen so many sequins in my life! The girls made sure the rain didn’t stop them bringing their best looks to the park, they all looked amazing! The main moment of the day that stood out for me was when BBK took to the stage; halfway through their act they took a moment to show their support to the friends and families of the Manchester attack. The artist managed to get a crowd of over 50,000 to take a minute silence… you could of heard a pin drop at this point. I had goose bumps throughout, but it was an amazing thing to see and be a part of. Well, as much as I hate to admit it, my friends were right and I will definitely be attending next year! This week I’m pretty excited about my new H&M earrings. 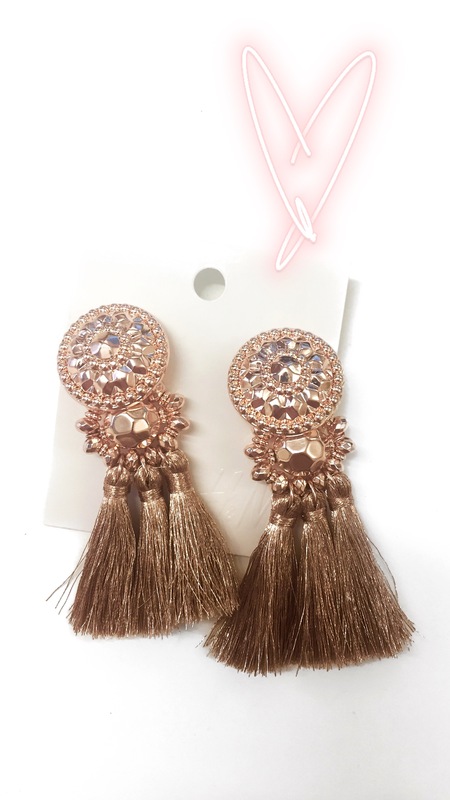 I’ve had the red versions of these statement tassel beauties for a few months and have absolutely loved wearing them! When I saw the rose gold version in Look this week I was straight to H&M on my lunch break to snap them up. I had to make a beeline for them as I could spend far too much time and money on H&M earrings, briefly toying with the idea of the yellow gold version, but went for rose gold as they definitely had the edge. The showstopper style dresses up the simplest of outfits and I’m hoping to wear them this weekend, maybe with a plain white shirt and jeans. Another week, another Primark bargain as my Friday favourite! This week I snapped up a taupe bikini for an extremely purse-friendly £10. I’ve been on the hunt for a bikini in a bronze colour since the first hint of summer, but struggled to find anything that wasn’t too shiny or shimmery. I really like the shade of this one as well as the slightly glossy finish, and I adore the shape – it’s not too skimpy that I’ll be self-conscious on the beach, but won’t give me any crazy tan lines either. Now I’m just counting down until my holiday to Spain next month, so I can finally hit the beach and get some wear out of it!